MASON'S DOUBLE LANDSCAPE DINNER PLATE. no chips or cracks Excellent exceptional example Decoration only Dispatched with Royal Mail 2nd Class. Masons - Belvedere - 2 Floral Dinner Plates - UNUSED? Here are 2 dinner plates in the attractive Belvedere pattern from Masons. Masons Ironstone Green "Chartreuse" Pattern 10.25" Dinner Plate. Beautiful green “Chartreuse” plate from quality china producers, Mason’s Ironstone. Chartreuse pattern in shades of green with gold. Dinner size plate, 10.5 ins, 27 Cm across. Spring Blossom pattern. by Mason's. Dinner plate. 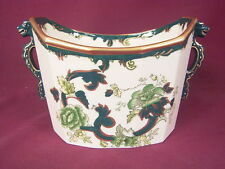 housewares ~ kitchenware ~ english fine bone china ~ kitchenalia. Made in England by Mason's Ironstone. Spring Blossom pattern. Dinner plate. 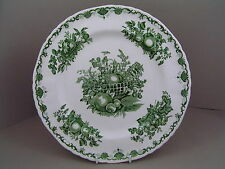 Masons Ironstone Green "Chartreuse" Pattern Large Dinner Plate 10.5". Very nice decorative collectible Plate ! MASONS 1986 10" CHRISTMAS PLATE, DURHAM CATHEDRAL. MASONS 1986 CHRISTMAS PLATE. ITEM SHOWS MASONS BACKSTAMP. THE PLATE IS 10" WIDE. MORE TABLEWARE AND COLLECTABLES AVAILABLE @ CHINAFIND UK. MASONS 1985 10" CHRISTMAS PLATE, ELY CATHEDRAL. MASONS 1985 CHRISTMAS PLATE. ITEM SHOWS MASONS BACKSTAMP. THE PLATE IS 10" WIDE. MORE TABLEWARE AND COLLECTABLES AVAILABLE @ CHINAFIND UK. MASONS 1984 10" CHRISTMAS PLATE, WELLS CATHEDRAL. MASONS 1984 CHRISTMAS PLATE. ITEM SHOWS MASONS BACKSTAMP. THE PLATE IS 10" WIDE. MORE TABLEWARE AND COLLECTABLES AVAILABLE @ CHINAFIND UK. MASONS 1982 10" CHRISTMAS PLATE, ST PAULS CATHEDRAL. MASONS 1982 CHRISTMAS PLATE. ITEM SHOWS MASONS BACKSTAMP. THE PLATE IS 10" WIDE. MORE TABLEWARE AND COLLECTABLES AVAILABLE @ CHINAFIND UK. Masons Historic Plate Collection. Limited edition no 2273. "FLOWER BASKET". with certificate. A Very Nice Set Of Presentation Plates Made By Masons For Ringtons In The 90's. Plates In Super Condition, Display Only. 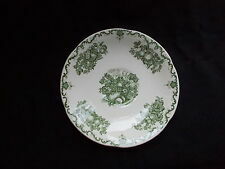 Masons Ironstone Green "Chartreuse" Pattern Large Dinner Plate 10.25". 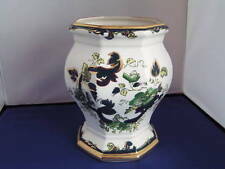 Oriental green and gold pattern with green flowers and foliage, on a white base with gold trim. MASONS stamp on the base, PENANG, Made in England, 1997. Plate 568 of 2950 Limited Edition. Masons Ironstone dinner plate in the "ORIENTAL" pattern. Backstamped as per photo, made in England. Our priority is to provide value, high quality of service and professionalism. Fuse Box Lids. Show Condition. Helpful Links. Wheels and Tyres. Tensioners Drive Belt. Spare Wheel Cover. We accept all major credit/debit cards. By Mason's. from The Christmas Series. 7 assorted Masons Ironstone dinner plates one chipped . Dispatched with Royal Mail 2nd Class. 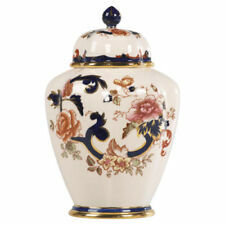 Housewares ~ kitchenware ~ english fine bone china ~ kitchenalia. 2002 Seasons Plate. by Burleigh. Masons Historic Plate Collection0. Collectors Plate Limited Edition. "BLUE AND GOLD". Masons Historic Plate Collection. Limited edition no 1619. " WATER LILY ". with certificate. Masons Historic Plate Collection. Limited edition no 1978. with certificate. Gloria Concepts The Franklin Mint Fine Porcelain Japan CLOCK Dinner Plate 10” x 10” So Cute, Vintage Franklin Mint, Thyme Wall Clock Plate, Gloria Concepts. A sweet design for a herb lovers kitchen. Maker – The base is stamped in green with Masons and a crown. patent ironstone, Chartreuse England. This lot comprises a creamy white ironstone Dinner Plates, scalloped rim & gold trim, it has green prints of flowers and hand painted foliage in dark green and gold. MASONS 1986 10" CHRISTMAS PLATE, CANTERBURY CATHEDRAL. MASONS 1981 10" CHRISTMAS PLATE, LICHFIELD CATHEDRAL. MASONS 1981 CHRISTMAS PLATE. ITEM SHOWS MASONS BACKSTAMP. THE PLATE IS 10" WIDE. MORE TABLEWARE AND COLLECTABLES AVAILABLE @ CHINAFIND UK. Collectable Mason Christmas patent ironstone plate of LITCHFIELD CATHEDRAL 1981. Thick Gold Detail round edges of plate Plate Size 10" or 25cm Approx.